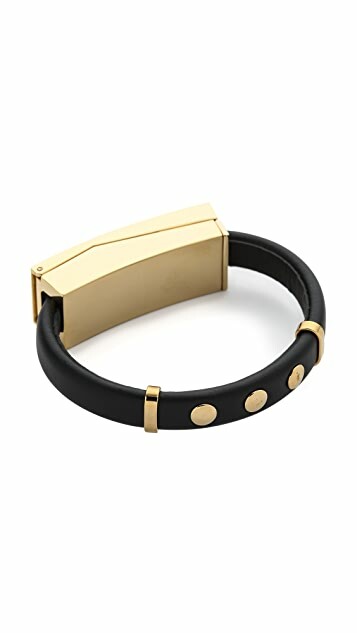 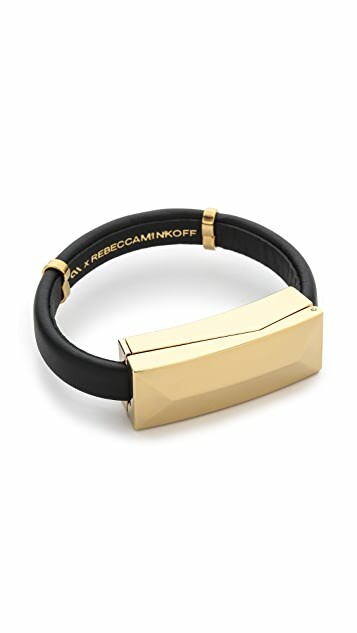 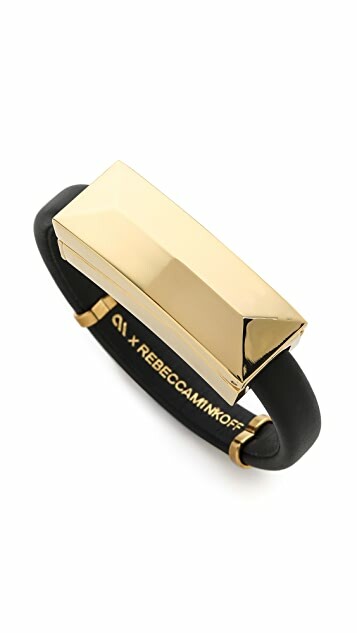 A leather-wrapped Rebecca Minkoff bracelet conceals an iPhone-compatible lightning cable which plugs into a USB port for easy charging and synching. 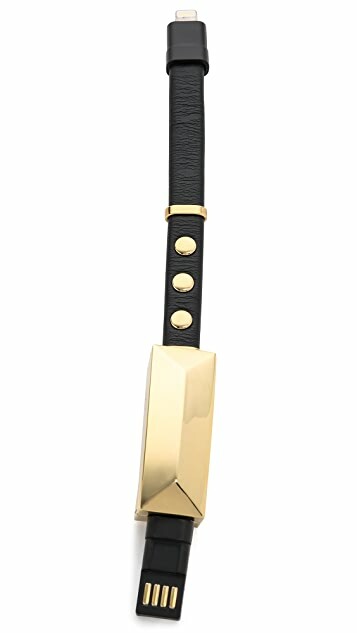 Gold-tone hardware. 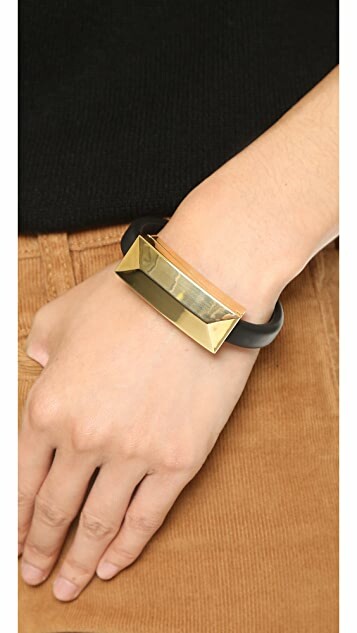 Compatible with iPhone 5 and newer, iPad air, iPad 4th generation, iPad mini.